Two weeks ago, the tropical flowers from Island Home and Garden were prominently displayed at UltraDerm MedSpa on Mission Drive for their annual Open House. We were asked to create a green and white theme in each treatment room and a large arrangement for the reception area. 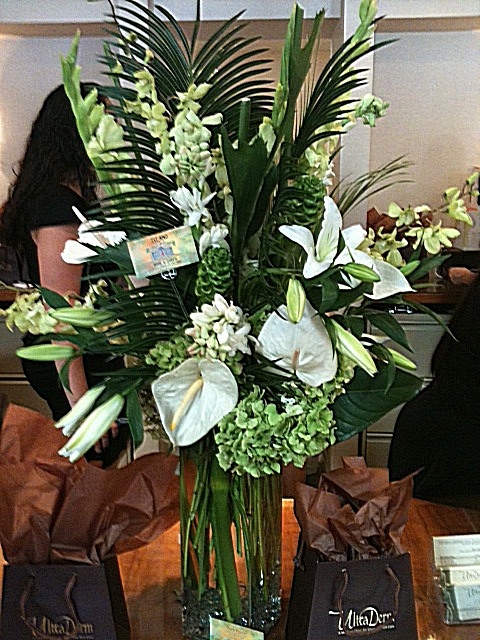 The event was very well attended and we received many compliments on the flowers, some of which we brought in especially from our Hawaiian shipper for the featured reception area vase.